1 bedroom 2-5 people, right in front the Vatican! Rentable for weekends and short periods, longer stays to agree. Whatever reason brings you to the capital, this accommodation can meet your needs. The typical roman atmosphere that you can breathe in this apartment of the first of '900 will surely make your stay very pleasant. You'll feel at home being right in front the Vatican! Delightful apartament in Rome, in a unique and strategic position to go around the centre, two hundred meters from the Vatican Museums and 2 minutes walking from Metro Station and from the most important, historical, artistic, business or shopping, points of interest of the Eternal City. 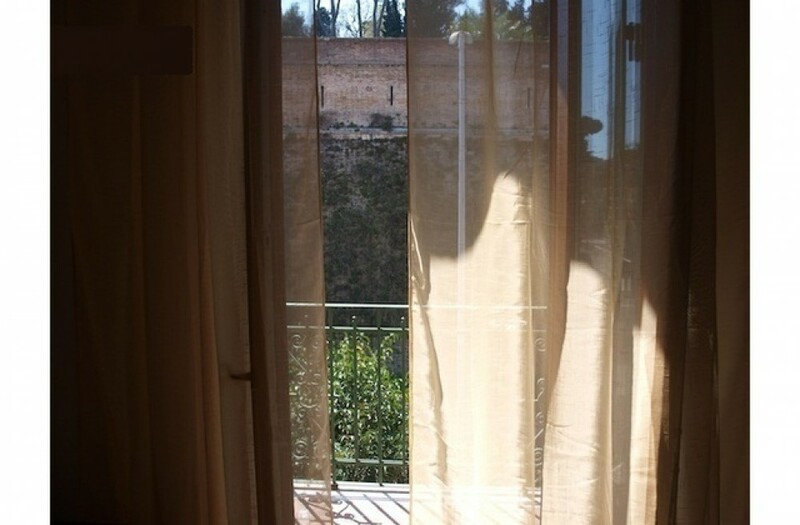 At the second floor of an ancient small palace (of 1920, typical popular residential architecture in Rome ), no lift, 50 sqm with triple exposure and view of the Vatican Walls Ramparts and on the inner part of a ward among the most characteristic of the city. Finely decorated, it can easily host up 4 people (5th on request), large master bedroom, living room with fireplace, tv and balcony, a comfortable sofa-bed double (no springs, no squeakings), equipped kitchen, washing-machine, iron, bathroom with shower and bidet, entry with two wardrobes. Fully furnished, including free web connection, dvd player and some food staples stores (coffee, tea, sugar, water, salt, pasta, frozen-food, croissants, fruit, etc...), and a welcome refreshment!